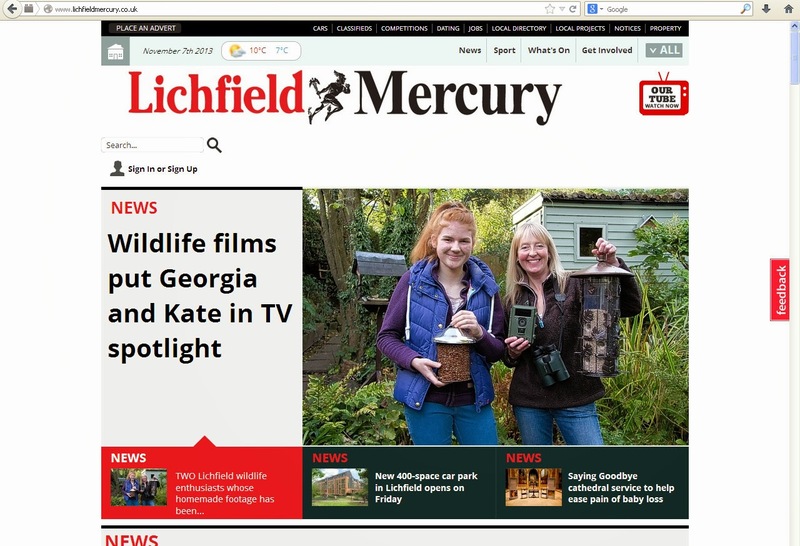 After all of the BBC Autumnwatch excitement a few weeks back, I had an e-mail from a local newspaper reporter (for the Lichfield Mercury) asking me questions so that a story could be put together about myself and Kate MacRae (WildlifeKate), who also had an appearance on Autumnwatch. 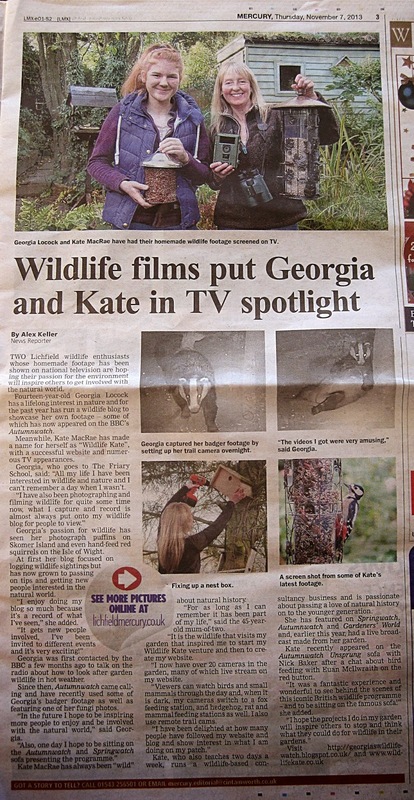 I had my photo on the front page and on page 3 where some of my badger footage screenshots were featured along with some of Kate’s wildlife photos. We also featured on the Mercury website. Our section in the paper. Myself on the front page. 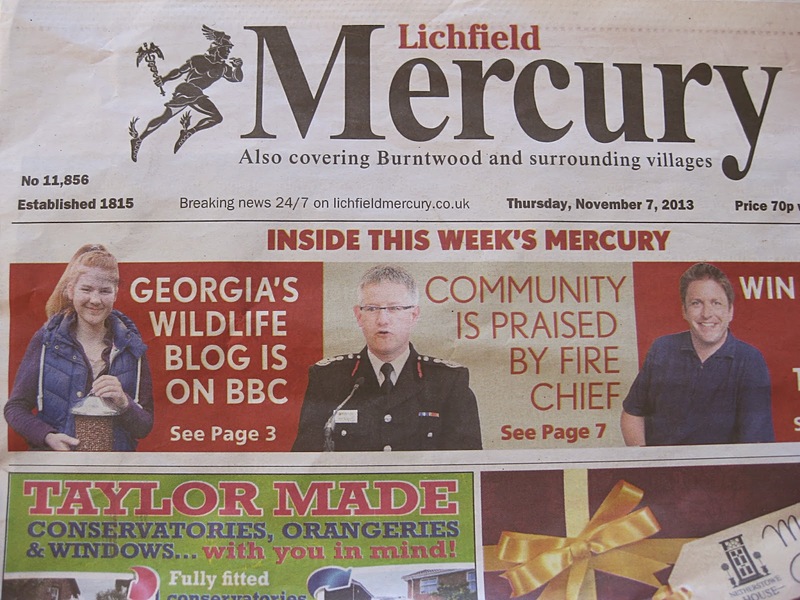 A screenshot of the Lichfield Mercury website with us as the main story. Previous PostA visit to Kate MacRae’s patch.Next PostWhere do all the harlequin ladybirds go for the winter?